Now you can add authentic blues feel and flavor to your playing! Here are 101 definitive licks - plus a demonstration CD - from every major blues guitar style, neatly organized into easy-to-use categories. 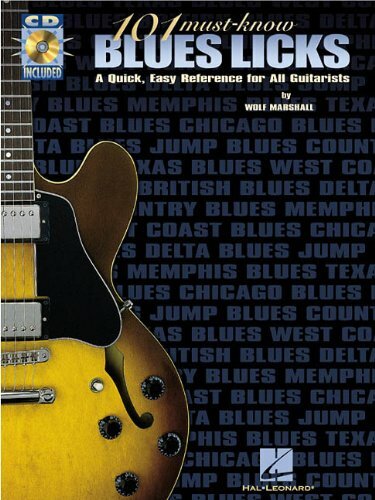 They're all here, including Delta blues, jump blues, country blues, Memphis blues, Texas blues, West Coast blues, Chicago blues, and British blues.